Property buying and selling is a very serious matter, you should be extremely cautious while doing it and make sure that it is done right. Selling a house in probate in Southern California is a very vexing matter since the loss of a loved one has already made everyone sad and gloomy but life goes on. The ones who leave us don’t have to deal with the day to day problems and we have to survive in this harsh and relentless economy which means taking and making the right decisions. If a person dies without bequeathing his property to his loved ones, without leaving a will then in such unfortunate event the state takes over and administers the sale of that property. The only reason for the courts involvement is that the court wants to ensure that the property is sold at the best possible price. In a probate sale in Southern California, the property is marketed analogous to any other property. 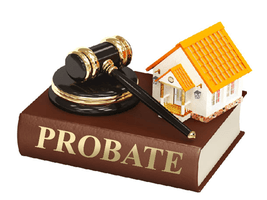 The probate attorney or the estate representative will hire a local real estate agent, sign a listing agreement and show the property to various interested parties. The list price ultimately depends upon the quality of the property, how admirable the structural integrity of the walls and roofs is and how reliable the different facilities in that area are. After the careful considerations of these numerous factors, weighing in the suggestions of the listing agent, an independent appraisal provider and the price issued by the court a mutually agreed amount is decided. It is important and paramount to consider here that the only case in which the court won’t be able to interfere is if a probate property is a Trust Sale or if the executor /administrator of the estate has been granted “full independent powers” under the Independent Administration of Estates Act (IAEA), in such a case court’s permission and sanction is not mandatory. You should also concoct and a property profile which is a detailed report about the probate property. It depicts and reveals important facts about the probate property which might ease the process of inquiry. This report might include indispensable information about the probate property like square footage, number of bedrooms and bathrooms, lot size, zoning information, tax information and ownership information. For transparency and in order to show competence everything should be revealed unambiguously and clearly so that no doubt remains in the mind of the seller that buying this property may lead to legal complications. This profile will also help in the process of determining and deciding on a price for the property. In Southern California, the probate properties are not repaired because if you repair the property then you may unwittingly conceal something wrong with the property and it is highly recommended that you don’t make any modifications and amendments to the current state of that property. This does not mean that property is left stinking and appearing like a landfill. You should clear all your personal possessions out of the property and clean up the entryway, yard and dispose of any garbage which might appear obstructive and repulsive to the buyers. You want your buyers to like the property not curse it. Your agent will take care of all the marketing so you don’t have to bother about that. If you are selling property in probate in southern California then since you have not lived in the property so obviously you are not aware of the flaws which may exist in that property so this fact is taken into account, if there is any evidence of pest or water damage or there is some other blemish or imperfection in the property then you are not to be held culpable for not disclosing it. For this the California association of realtors has standardized forms especially for probate transactions. If you’re searching how to sell a property in probate in CA, there’s no easier place to do so than here. CFA Investments LLC can help walk you thru the process, and you won’t have to put up any of your own money to fix the place. We’re here to take the stress off your shoulders, and make it a seamless process for you and your loved ones. We’ve dealt with many situations, from fire damaged properties to real estate in probate court, and inherited property. We’ve likely seen a situation just like one you’re in, and we know how to handle it professionally, ethically, and seamlessly. We hope we’ve answered your question about how to sell a property in probate in here in CA, but if we haven’t feel free to call us!